Developed by one of the most dedicated transmission experts in the HEMI world, when it comes to transmission and driveline parts that we know will handle the big power levels we throw at them, here at HHP we only trust one company. Paramount Performance is the only company able to reliably provide transmission upgrades from bolt-in valve bodies all the way through complete driveline systems. 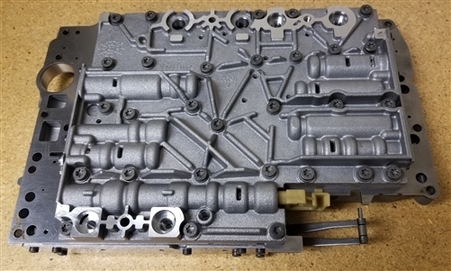 Paramount Performance's NAG1 Stage II Valve Body is a great way to increase line pressure in your transmission, allowing it to hold up to approximately 800 bhp. Designed by using a fully operational, test NAG1 that monitored all clutch pressures, torque converter pressures, and torque converter lock up clutch pressures all with accurate analog gauges. The Stage II modified valve body will increase the NAG1 shift pressures. The more aggressively the NAG1 is driven, the firmer the shift. The downshifts are firmer than stock also, but not to the point of being too harsh. Unheard of …...Full warranty for 1 year! These are in stock and ready for immediate delivery. This product was added to our catalog on Thursday 19 April, 2018.